The phenomenon that occurs between two systems—environments, languages, or in this case, two musicians—as interaction leads to imitation. Have you ever seen seasoned couples and long-time best friends who talk similarly, act similarly, even look similar? This is structural coupling at work. 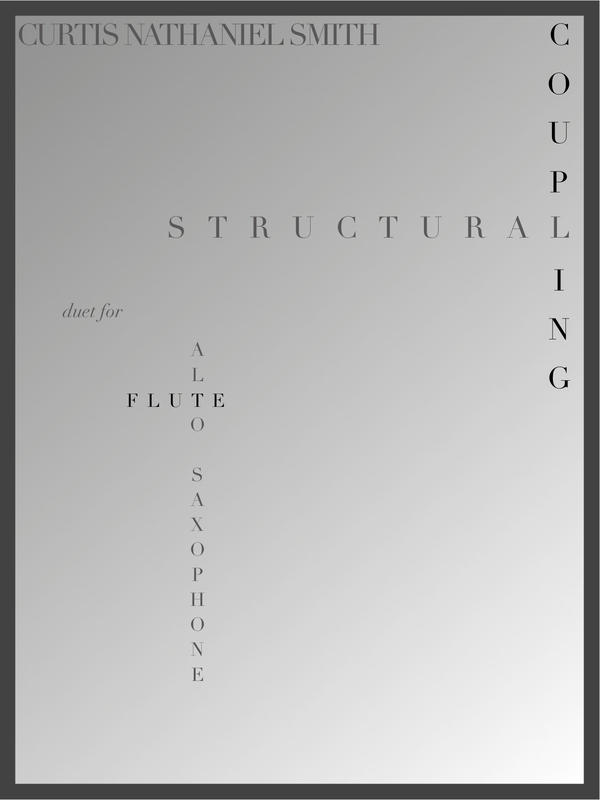 Originally written for a husband and wife duo, “Structural Coupling” deals with relational aspects for all— both performers and listeners. The first movement deals with support. 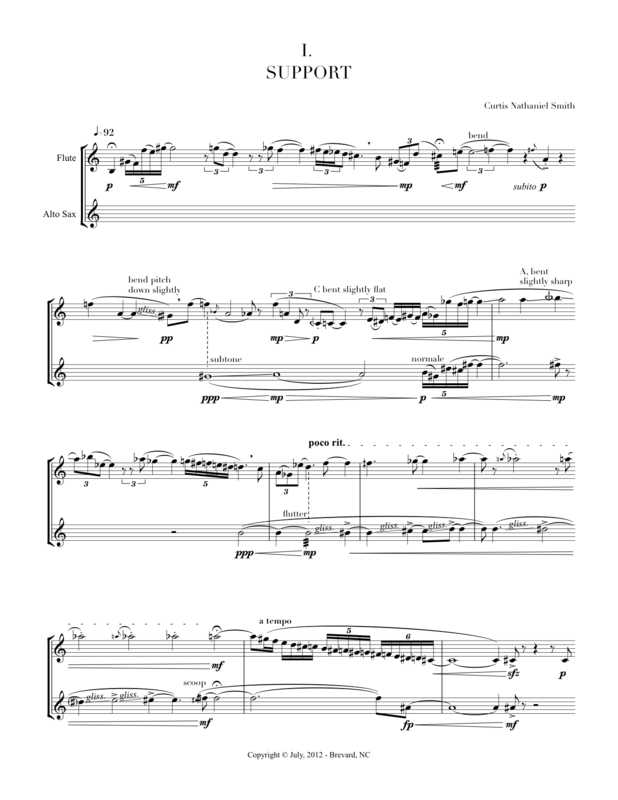 Notice the alto sax supporting the flute as it struggles upward and takes its downward tumbles—ultimately pulling the flute up and launching it heavenward. The second movement is a flat out race. In fact, the last 11 measures are to be played “as fast as possible. Not coordinated. Try to win by getting to the end first. Do anything necessary.” The composer assumes no responsibility for damages or injuries to performers or audience. In the third movement both alternate between playing and acting like they are playing while the other actually plays: employing ventriloquism and imitation to represent their coupling. 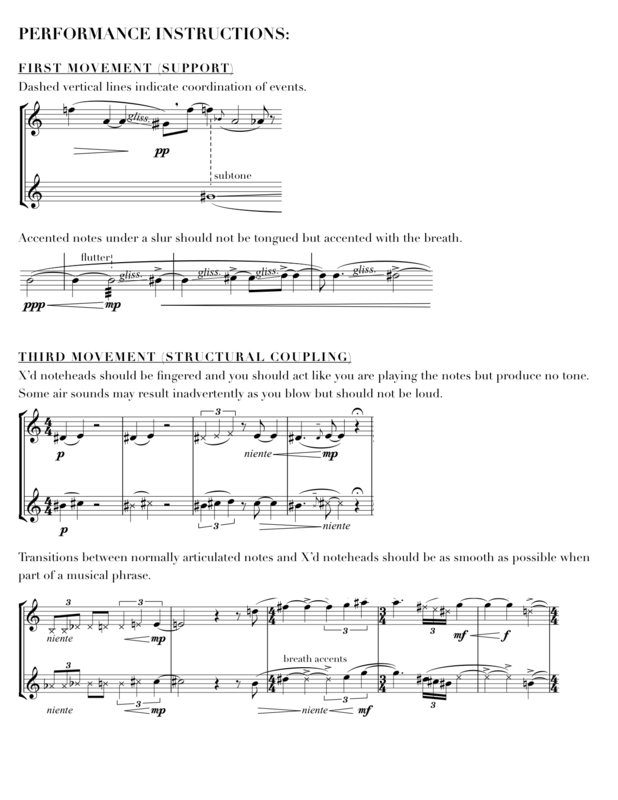 The finale is a series of razor-sharp interlocking motifs that require tight coordination and unity. 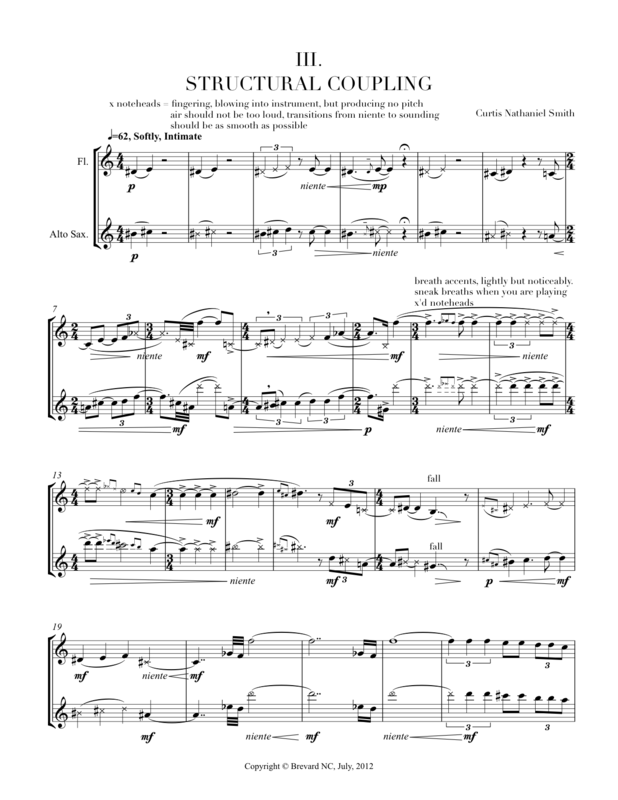 The alto sax and flute ultimately lock into a calm counterpoint that becomes the epilogue.